« ArmpitNJ.com Exclusive: Snooki’s First Draft! A couple of weeks ago, I was at New Jersey’s mega farm store Delicious Orchards. And if you’ve never heard of it or been there, you’ll want to read this entry I wrote last year. Anyway, in between crates of vegetables I’ve never heard of, and countless varieties of vegetables I have, there was a table covered in giant cans of tomatoes. But not just regular tomatoes; these were Jersey tomatoes! Made by Fattoria Fresca, the can has the official Jersey Fresh logo on it. Though, sadly, the term Jersey Fresh has been co-opted by the likes of Pauly D and the Situation to describe their beauty regimens. Although I thought that such a gourmet product would only be available in a gourmet store like Delicious Orchards, I actually saw them at my local Foodtown. 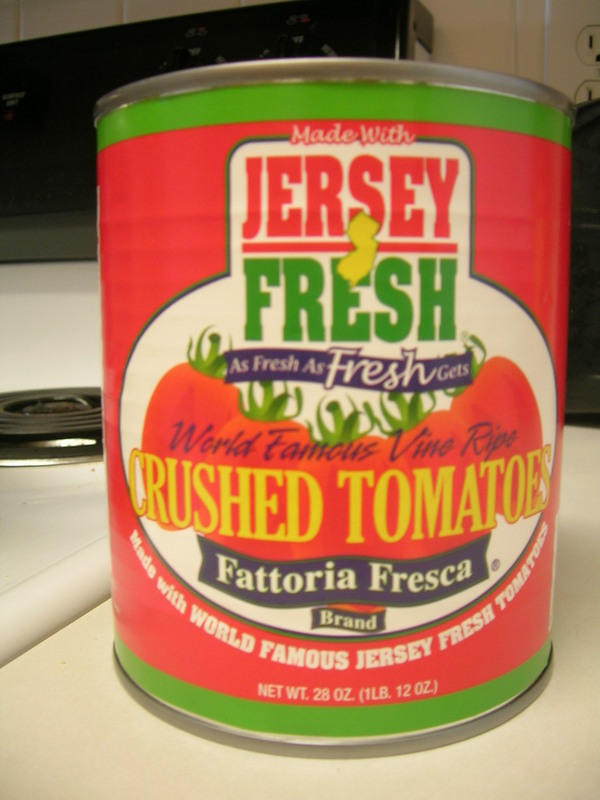 Now it’s well known that New Jersey produces the best tomatoes of any state. It’s not called the Armpit of America Garden State for nothing! Everyone knows that nothing compares to the taste of a fresh Jersey tomato, but we’re still a few months away from the summer bounty. So, we’ll have to get them in can form for now. I was a bit skeptical about how they would taste from a can. After all, don’t all canned tomatoes taste the same? Well, I was about to find out. See? No used condoms, hypodermic needles, or amputated body parts. 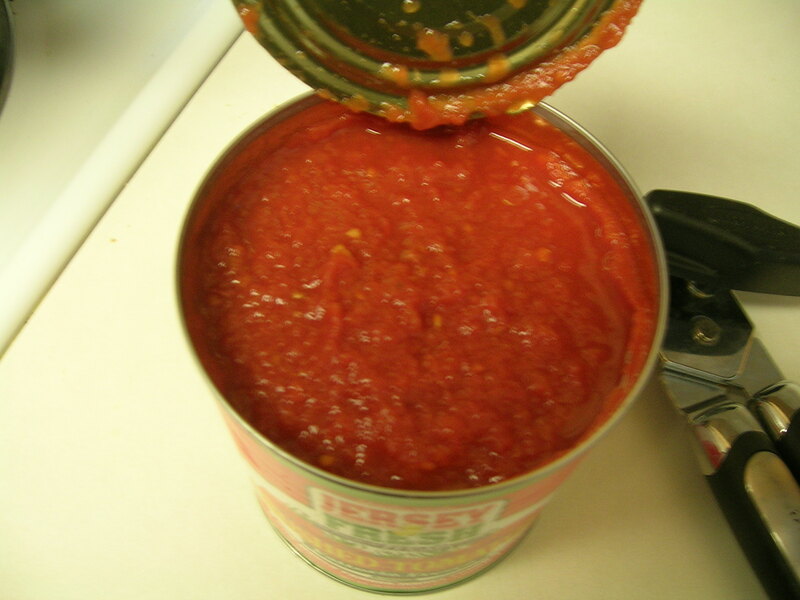 I dug my spoon into the scarlet can of mush, and put some of the crushed Jersey tomatoes in my mouth. 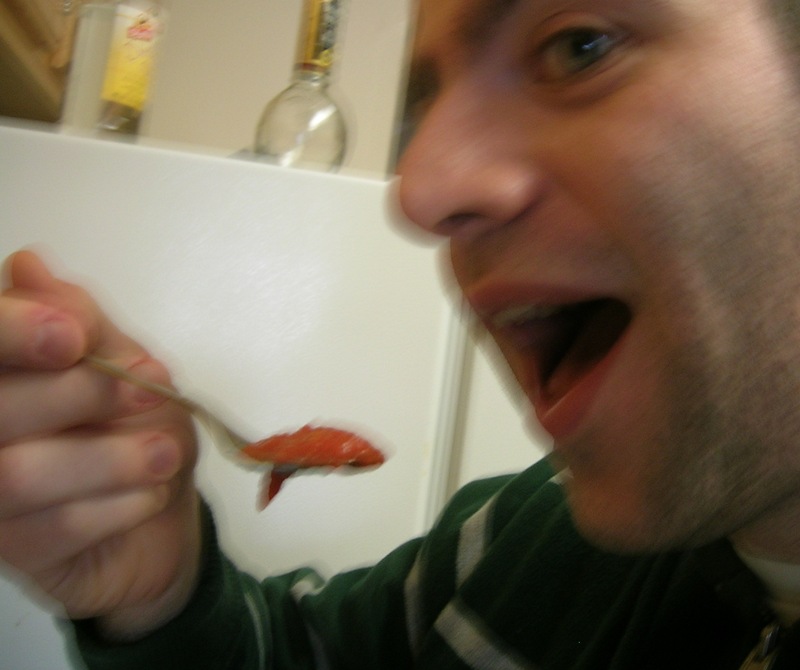 Normally, I would vomit at the thought of eating tomatoes straight out of the can, but I go to great lengths for this blog. I'm not good at feeding and photographing myself at the same time. They actually tasted pretty good straight up. Perhaps all tomatoes taste this good from the can. Or, more likely, it’s the magic of the Jersey tomato. Although I probably could have eaten the entire can like this, I had other plans for my can of Jersey tomatoes. Kinda looks like a toilet at a Turnpike rest stop, no? 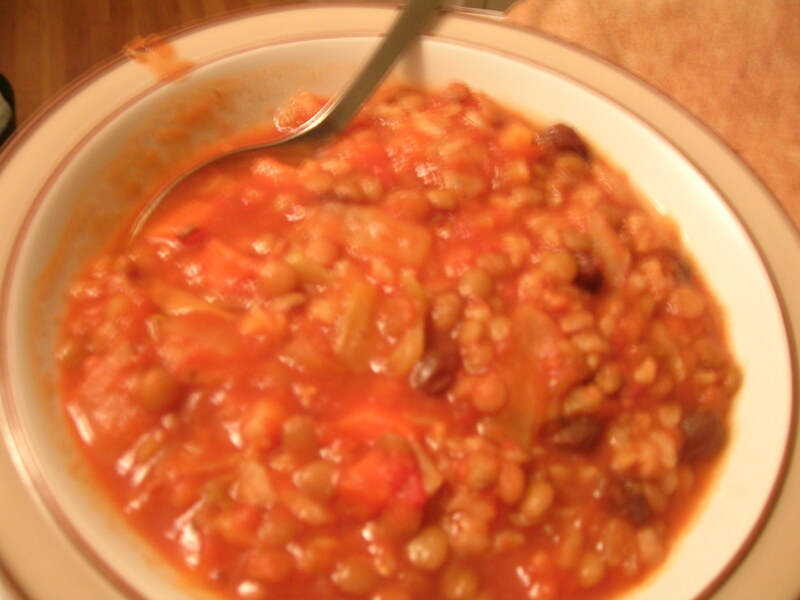 Hard to tell from the picture, but that’s a soup made with the holy tomatoes, lentils, cabbage, and raisins. Yes, I realize I’m probably the only twenty-something who likes lentils, cabbage, and raisins. 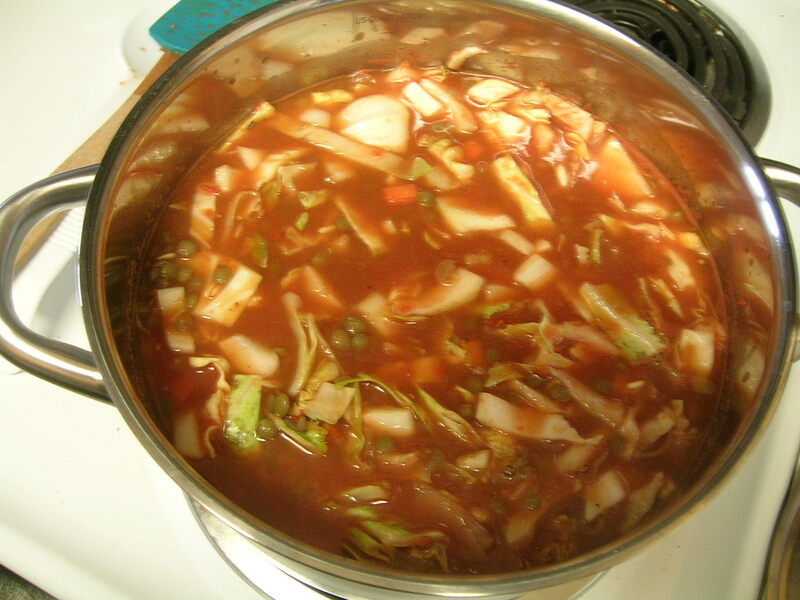 Anyway, the soup was delicious, and I owe it all to my can of Jersey tomatoes! I’m curious as to the availability of this brand’s Jersey tomatoes. If you happen to see them somewhere, especially if out of state, leave a comment letting me know where you found them. This entry was posted on March 9, 2011 at 9:06 pm and is filed under Food, Random. You can subscribe via RSS 2.0 feed to this post's comments. they sell this brand of tomatos at shop rite. best canned tomatos i have ever had. I bought mine in Shop Rite last week. They are by far the best canned tomatoes I have ever tasted.